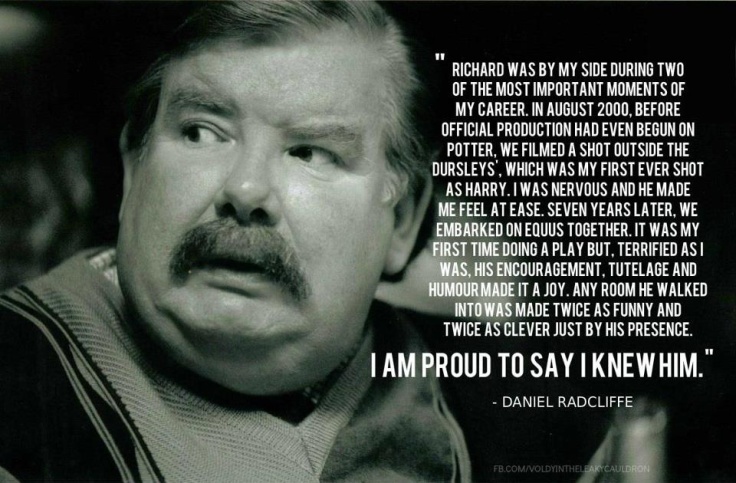 Before I start writing this post, I want to take a moment to remember the great Richard Griffiths, who unfortunately passed away earlier this weekend due to complications after a heart surgery. Many of us know him as the malicious Uncle Vernon, who taunted Harry since the day he arrived on the Dursley’s doorstep. However, there are many more movies under his belt that should not go unnoticed. Ballet Shoes (also starring Emma Watson), Hugo (also starring Chloe Grace-Moretz), Bedtime Stories (also starring Adam Sandler), Sleepy Hollow (also starring Johnny Depp), Ghandi, and much, much more, both on TV and on stage. His talent is remarkable, and his work will be remembered forever. We’ll all miss you.. It was July 20, 2007. The sun was shining, the sky was a perfect blue with no cloud in sight. Birds were flying in the air, chirping their songs to one another. People were spending time at the beach, taking advantage of a wonderful day. But these beach-goers did not know what was to come. In less than a day, the Earth was going to shake, rain was going to pour down, and thunder rumble and growl. Change was coming, and many did not realize how big of a change it was going to be. There was one community of people, however, that knew of this change. They knew everything that was going to happen, to the very last detail. This wasn’t a small community. The meaning of community for these people was vast. They were all connected, people young and old, male or female. There was, and still is, millions of people in this community from all over the world. This community is infamous. They are……the Potterphiles. One particular Potterphile, Isabel, was enjoying the summer day in weather tempermental Rhode Island. She was especially enjoying it because soon, she would be going to the local Borders Bookstore for the midnight book release of Harry Potter and the Deathly Hallows. She had convinced her mother to bring her because it was the last Harry Potter book, and she didn’t want to miss this amazing experience. Harry Potter and the Deathly Hallows was being released July 21, 2007 at 12:00am. And as soon as the clocks around the world struck that time, the change discussed previously would occur. The Earth was going to shake, rain was going to pour down, and thunder rumble and growl. Isabel and her mother arrived at the shopping complex where Border’s was when the sun was still high in the sky. Sunset wouldn’t occur for for another two hours. Isabel walked into the store, donning spectacles and a Gryffindor crest on the front of her shirt. She walked up to the check-in table where she received a blue sticker. There were different colored stickers in which the hosts of the book release would call to get in line to get their pre-ordered book. Isabel’s color wasn’t the first or the last. It was right in the middle. For most of the night, she sat in the cafe with her mom. She even read an entire book while waiting that she had grabbed from one of the many bookshelves. Her mother, on the other hand, was nearly falling asleep on the cafe wall. Then the clock struck 12, and the Earth shook, the rain poured down, and thunder rumbled and growled. The mass of people in the bookstore, one by one, received their copy of the final Harry Potter book, beginning to read it as soon as it was put in their hands. Isabel did, when she received hers at 2:00am in the morning. She was halfway through the first chapter when she paid for it. In the car, she read some more. At home, she read. Her mom then made her go to sleep. Although Isabel didn’t sleep much. She woke up four hours later, around 7:30am, and immediately picked up the book, which she had placed beside her bed, and read. She was laying on her stomach, cozy under her sheets, and without a single yawn or distraction, read. She ignored her mother’s calls for breakfast. She read, and read, and read, and read. She shook, rain poured down on her face, and thunder rumbled and growled within her. And then, five hours later, she was done. She closed the book, looked at the front cover, where Harry defiantly stood, with his wand in the air, displaying courage, bravery, and love….